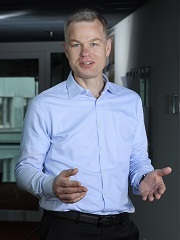 Andreas Lange joined the University of Hamburg as professor of economics in July 2010. Before, he had an appointment as Assistant Professor at the University of Maryland. He received his PhD from the Department of Economics, University of Heidelberg. He is a Research Associate at the Centre for European Economic Research (ZEW) Mannheim, Visiting Professor at the University of Gothenburg as well as Adjunct Faculty Member at University of Maryland, AREC. He serves as Co-Editor-in Chief for Journal of Environmental Economics and Management. His research includes theoretical, experimental and applied work on issues in public and environmental as well as behavioral economics. Recently, he conducted studies on international environmental agreements, on emissions trading systems, and on policy decisions under risk and uncertainty. His current research comprises work on the voluntary provision of public goods, auctions, as well on climate policy, all combining theoretical and experimental studies.